National Parks 5 oz Silver America The Beautiful Coins NTR Metals Silver - new! Silver coin value guide-FREE ! $5 dollar half eagle old US gold coins. Liberty head and Indian head type. 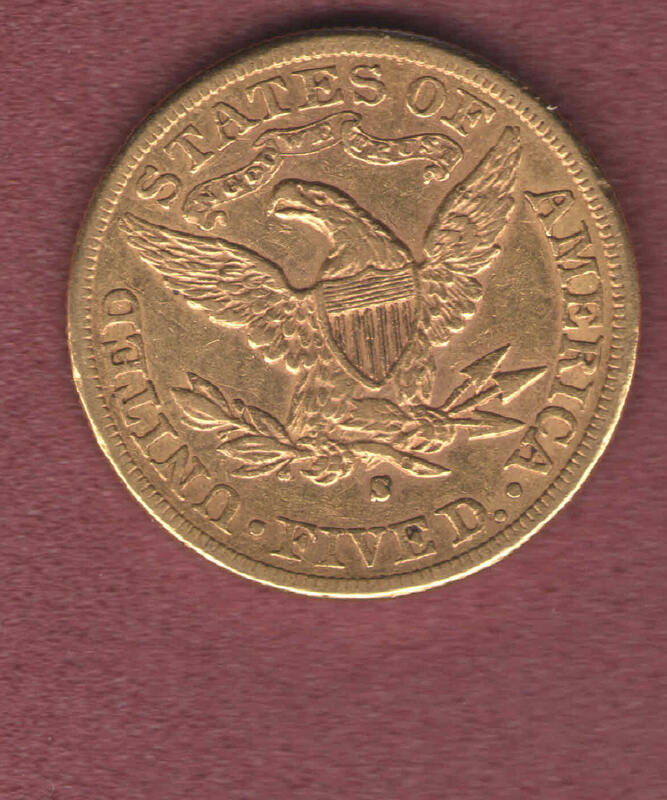 Old $5 U.S. gold coins contain about 1/4 ounce of gold. They earned the nickname "half eagle" because they are half the size of the old $10 Eagle gold coins made by the US government over a hundred years ago. We only have one of each date listed below in stock. Order soon, when they are gone, they are gone! Liberty coronet head design. This genuine $5 gold coin was struck at the U.S. government Mint in Philadelphia over 100 years ago. Grades Extremely Fine (EF) condition. Note there is a noticeable mark on Liberty's cheek which is visible in the enlarged picture. 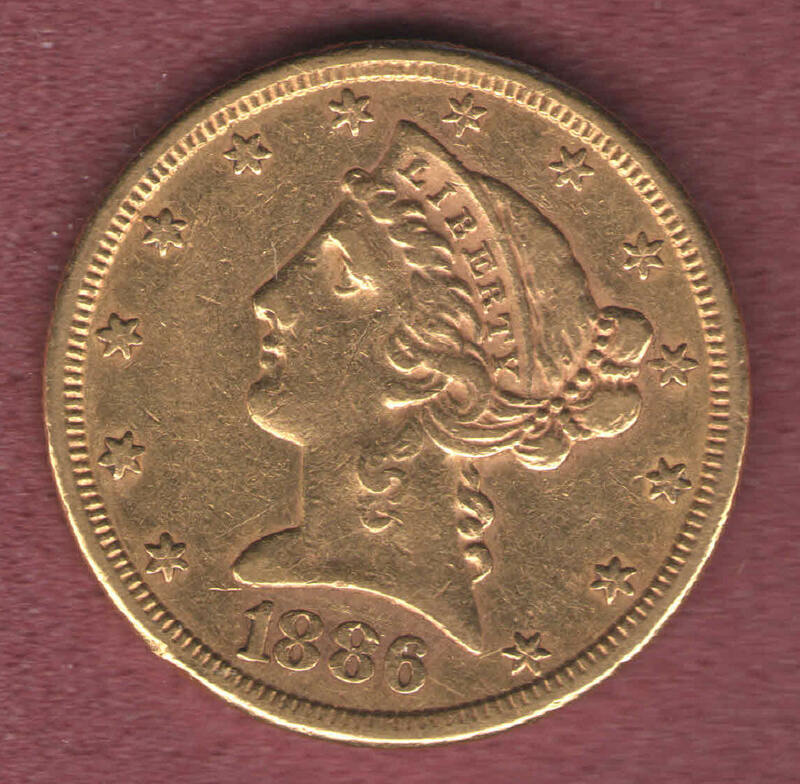 $5 gold coins were nicknamed "Half Eagles" because they are half the weight of the ten dollar gold pieces and contain 24.18% of an ounce of gold. With the big gold coin melt downs throughout history, there can't be many still in existence. As with all of our coins this is Guaranteed Genuine! Size is 21.6mm in diameter - about the size of a US nickel. Beautiful Liberty coronet head design on this genuine $5 gold coin. 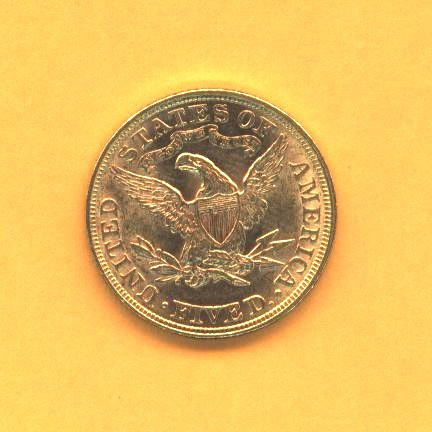 This gold coin has an "S" mint mark on the reverse indicating it was minted at the U.S. government Mint in San Francisco California about 100 years ago. Condition is Extremely Fine (Extra Fine) condition (EF) to AU. 21.6mm in diameter. Shows an average number of bag marks. $5 gold pieces were nicknamed "Half Eagles" because they contain half the gold of the eagle ten dollar gold pieces - 24.18% of an ounce. With the big gold melt downs in the past, there is no telling how few of these remain. Liberty coronet head design. 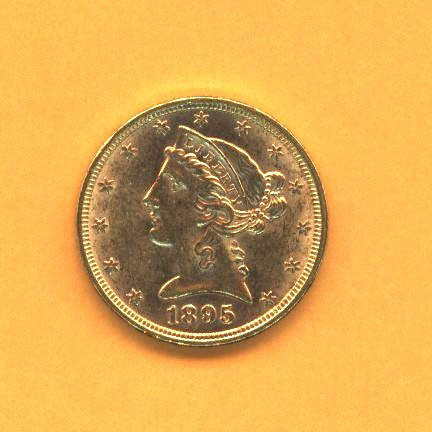 The "S" mint mark on the reverse indicates that this authentic $5 gold coin was struck at the U.S. government Mint in San Francisco California. Over 100 years old. Grade is Extremely Fine (EF) condition. 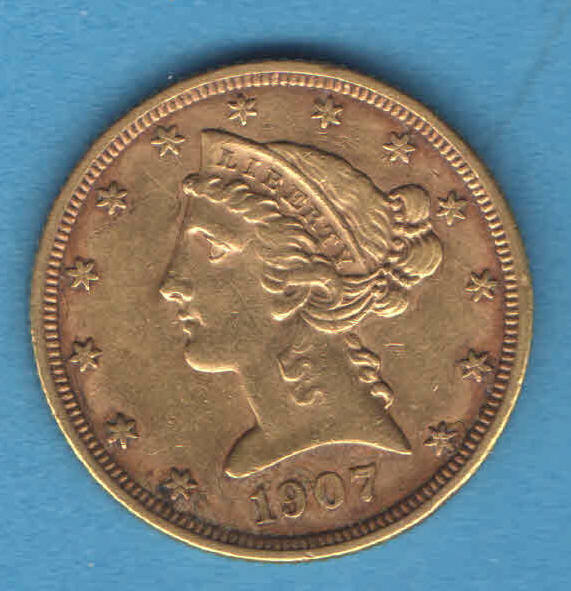 Click on the image to view the bag marks on the front of the coin. $5 gold coins are sometimes called "Half Eagles" because they are half the weight of the ten dollar eagle gold pieces and contain 24.18% of an ounce of gold. With the big gold coin melt downs throughout history, there can't be many still in existence. All of our coins are Guaranteed Genuine! 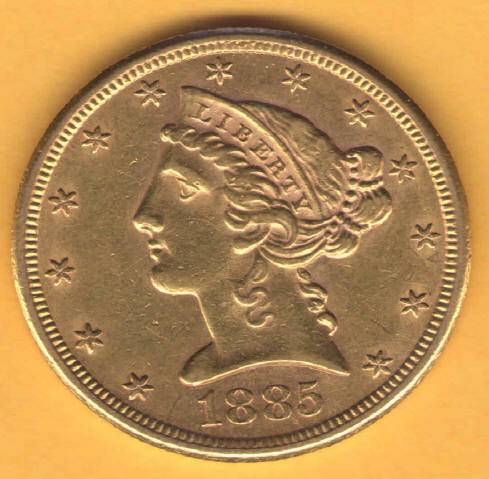 A Liberty Coronet head designed genuine $5 gold coin. The coin was produced at the U.S. government Mint in Philadelphia over 120 years ago. Grades Extremely Fine (EF) condition. 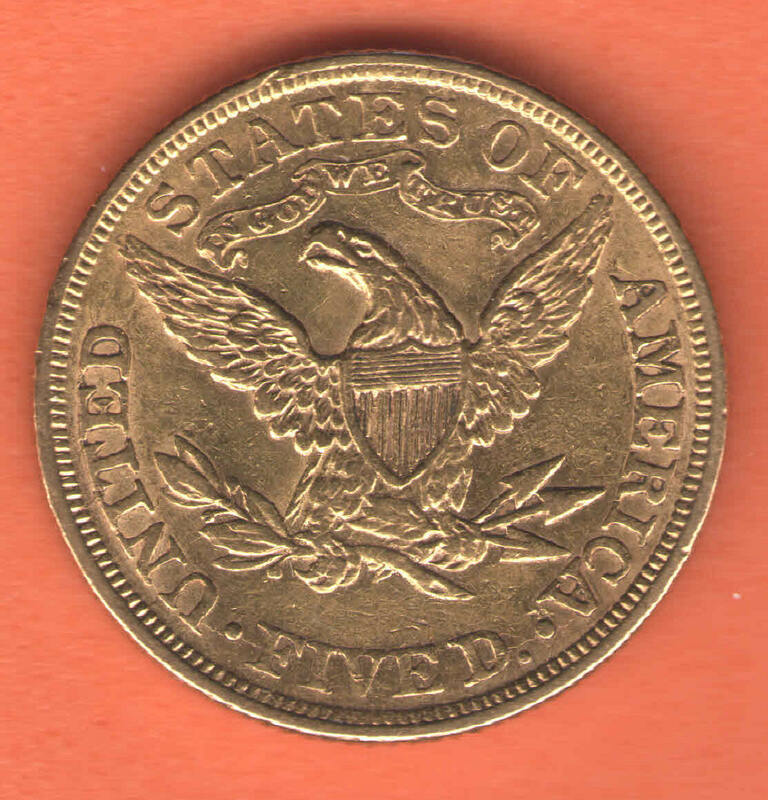 Old USA $5 gold coins were nicknamed "Half Eagles" because they are half the weight of the ten dollar gold pieces. They contain 24.18% of an ounce of gold. 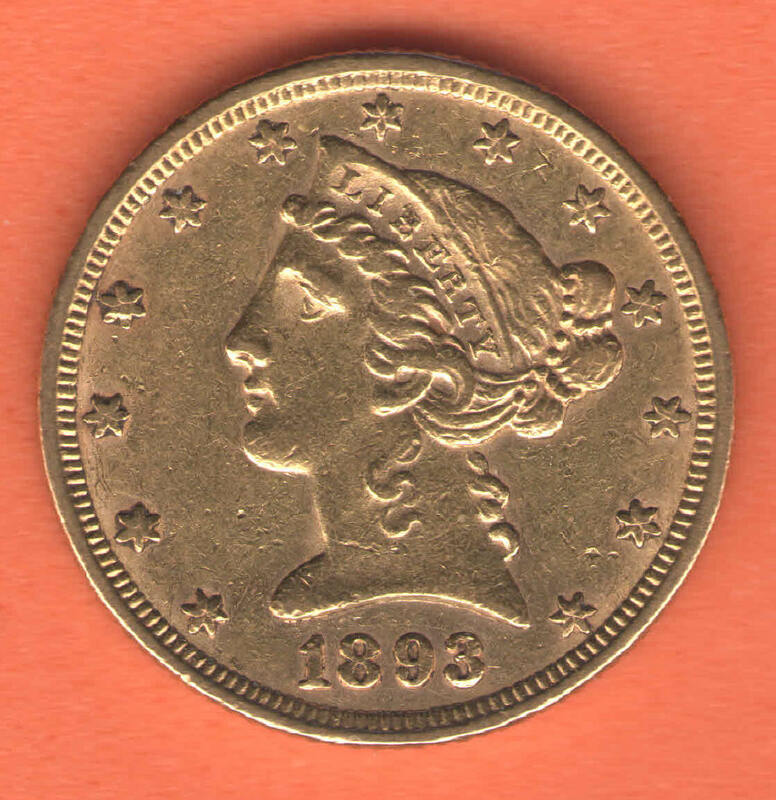 Click on the image to view the bag marks on the front of the coin. 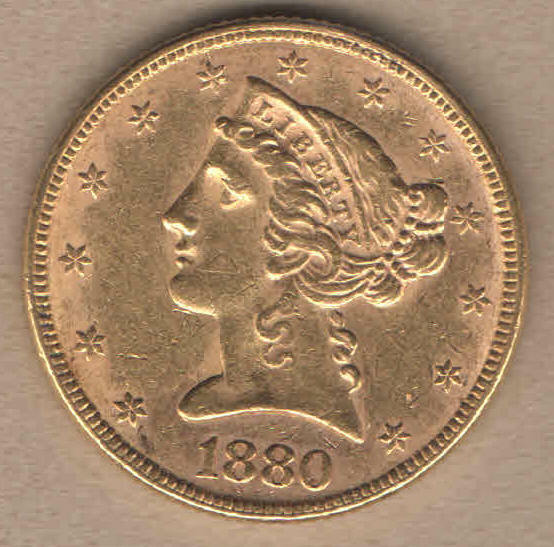 A Liberty Coronet head designed genuine $5 gold coin. The coin was produced at the U.S. government Mint in Philadelphia over 120 years ago. Grades About Uncirculated (AU) condition. 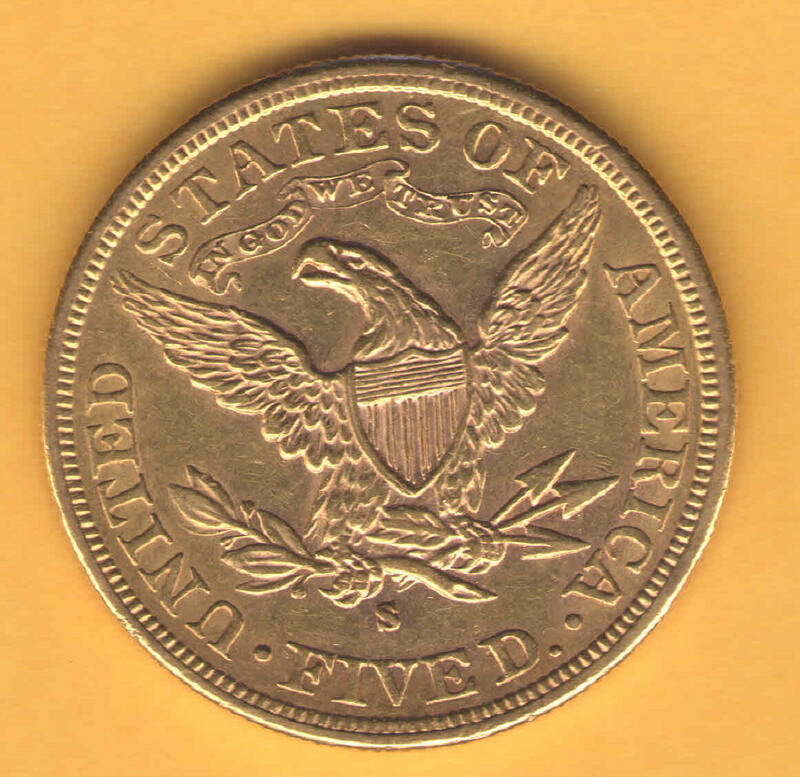 Old USA $5 gold coins were nicknamed "Half Eagles" because they are half the weight of the ten dollar gold pieces. They contain 24.18% of an ounce of gold. This gold coin has a Liberty Coronet head design. This genuine $5 gold coin was struck at the U.S. government Mint in Denver Colorado over 100 years ago. 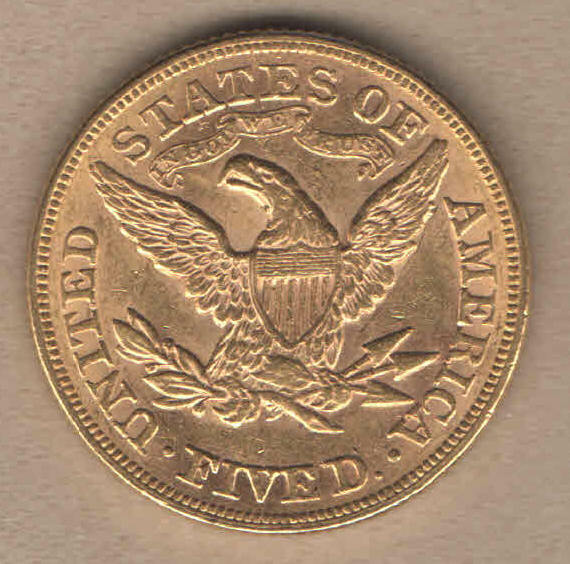 D mint mark five dollar Liberty Head gold coins were only made for two years, 1906 and 1907. This one is dated 1907. 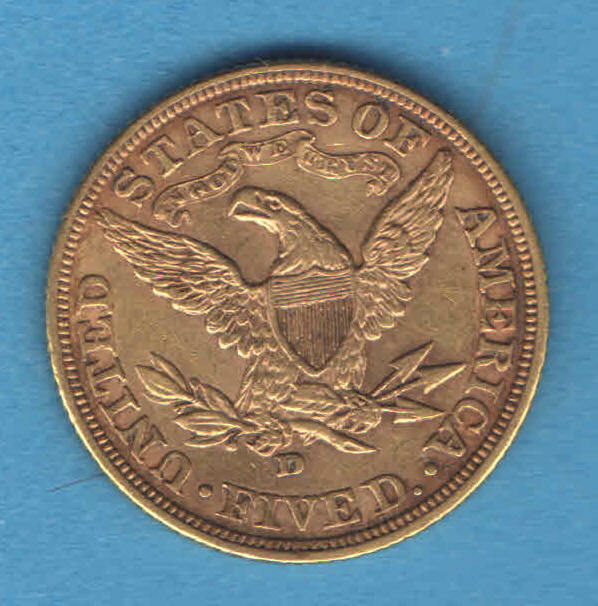 Click on picture to see a close up view of the D mint mark on the reverse. This coin grades Extremely Fine (EF) condition. Old USA $5 gold coins were nicknamed "Half Eagles" because they are half the weight of the ten dollar gold pieces and contain. This gold coin contains almost a fourth ounce of gold (24.18% of an oz. of gold). Beautiful Indian Head and Eagle reverse design. The $5 Indian gold coins were produced by the United States government between 1908 and 1929. Indian head gold coins are different than most other U.S. gold coins in that the (incuse) design is pressed down into the background of the gold rather than raised up. Although more recent in design than the Liberty head five dollar gold coins, the Indian head design is scarcer. This one was struck at the US government Mint in Philadelphia. Attractive - Extremely Fine (EF). 21.6mm in diameter. Contains Half the gold content of a $10 gold piece. Size is 21.6mm in diameter - about the size of a US nickel.